Location, location, location! 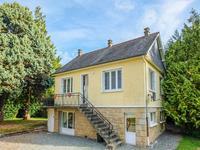 Neo-breton 3 bed house near the popular village of Plancoët. In . . . Perfectly located Neo-Breton 5 bed house, in a bustling village just 10 mins to the beach. A nicely laid out family home with 5 bedrooms. This house has so much space and is in a . . .